Give me a bowl of ice cream, and I’d probably eat it. Throw in some cake as well, and I’m a totally happy camper! My favorite part of birthday parties as a kid was always the cake and ice cream. I was one of those kids who would mush all the ice cream and cake together and eat it in one crazy blended mess. It comes as no surprise, then, that I absolutely adore ice cream cake. It’s cake and ice cream, together! It’s basically the perfect dessert. Years ago, I clipped a killer chocolate cake recipe out of an issue of Bon Appetit magazine, and there it sat in a shoe box with a big pile of other recipes, just gathering dust. These little ice cream cakes seemed like the perfect excuse to finally make it, and it pairs wonderfully with some good quality coffee ice cream sandwiched between its layers. Add some fluffy mocha buttercream and rich ganache, and you have one hell of a dessert. It’s my last post for National Ice Cream Month, and it’s my favorite one yet! Stick around for next month, cause August is National Sandwich Month! I’ve got some killer recipes lined up for you! For chocolate cake: Preheat oven to 350 degrees. Grab a 1/4 sheet pan or 9×13 inch baking dish and grease lightly. Line with parchment paper and set aside. In a medium bowl, whisk the flour, cocoa, baking soda, baking powder, and salt until combined. In the bowl of a stand mixer, combine the sugar, buttermilk, coffee, oil, egg, yolk, and vanilla and mix with the paddle attachment on low until well mixed. Pour in the dry ingredients and mix on low speed just until the dry ingredients are blended. Turn the speed to medium and continue to mix for 2-3 minutes, until very smooth. Scrape bowl with a spatula and mix briefly by hand to make sure everything is well incorporated. Pour batter into prepared pan and smooth evenly. Bake in the preheated oven for 20 minutes, or until the cake is not wobbly in the center and a toothpick inserted into the center comes out clean. Let cool 20 minutes at room temperature, and carefully loosen edges of the cake from the pan using a knife. Place another piece of parchment on top of the cake and place a cooling rack on top of the parchment. Flip over and allow the cake to rest on the parchment and cooling rack. Peel off the parchment on the opposite side and let chill in the fridge until ready to use. For the mocha buttercream: In the clean bowl of a stand mixer, place the softened butter and the salt. Beat on medium-high until very smooth and creamy, 1 minute. In separate bowl, whisk together the powdered sugar and cocoa powder. Add half to the whipped butter, mixing on low for 30 seconds. Scrape the bowl and add the remaining sugar/cocoa mixture. Mix on low for another 20-30 seconds. Scrape the sides of the bowl and the paddle, and mix on high speed for 1 minute. Combine the espresso powder with the vanilla and milk in a small dish. Pour into the mixer bowl and mix on low speed just until incorporated. Turn to high speed and whip for 30 seconds until the frosting is very fluffy. Scrape the bowl down and mix briefly by hand. Store in an airtight container at room temperature until ready to use. 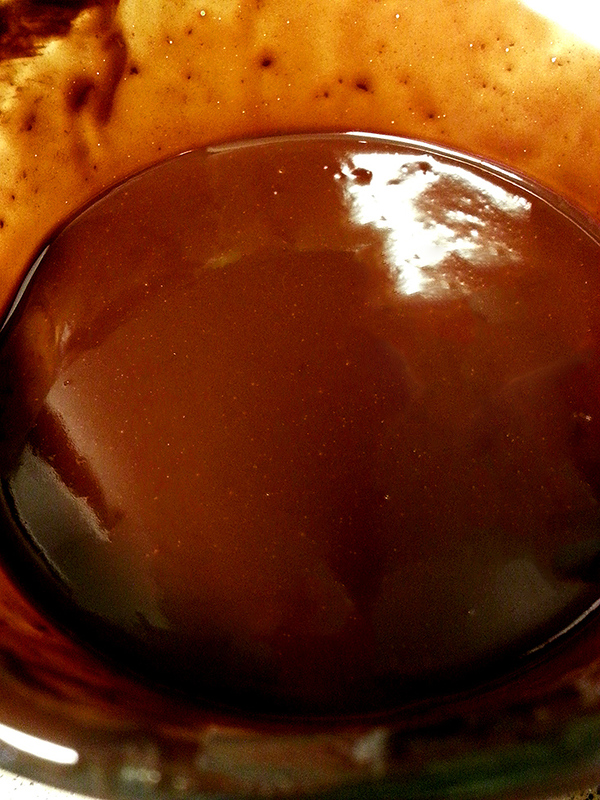 For the ganache: In a microwave-safe bowl, stir together the heavy cream and chopped chocolate. Heat on high power for 45 seconds. Stir to combine, heat another 30-45 seconds. Stir, heat for 25 seconds more. Stir to combine into a glossy smooth mixture with no lumps remaining. Set aside at room temperature until ready to use. To prep ice cream layer: Take the coffee ice cream from the freezer and let sit at room temperature for 5-10 minutes, or briefly heat in the microwave just to soften the edges. Line a clean 1/4 sheet pan or 9×13 inch baking pan with parchment paper and carefully and quickly spread the softened ice cream into an even layer. Immediately return to the freezer and freeze until solid frozen, minimum of 2 hours. To assemble the cakes: Using a round cutter measuring 3 1/2 inches, cut out 6 rounds from the layer of cooled chocolate cake. Store the cake scraps for later use. Place the cake rounds into the freezer. Remove the ice cream layer and cut into 6 rounds with the same cutter. Stack the ice cream rounds on top of each other in pairs, to end up with 3 thicker rounds of ice cream. Briefly return the ice cream to the freezer to re-solidify. Using a cake turntable, lay down a piece of parchment and place one of the frozen cake stacks in the center. Cover the top and sides with a thick layer of the room temperature mocha buttercream, working quickly so the ice cream layer doesn’t melt. Place in the freezer while frosting the other two mini cakes. Once the cakes are frosted, re-warm the ganache briefly if necessary so that it is a pourable consistency. Place one frosted cake on the turntable and pour some ganache onto the top of the cake so that it puddles on top and gradually runs down the sides of the cake. Drizzle the ganache with melted milk chocolate. Feel free to decorate the top and sides with some rosettes or shells of extra mocha buttercream, and garnish with fresh fruit if you have it. Keep the little cakes frozen until ready to eat! These cakes are manageable to eat even when solidly frozen, but they are best if allowed to sit at room temperature for a few minutes. It’s all I’ve ever wanted, cake and ice cream, together in one glorious dessert! These little cakes are completely adorable, and are great for a small celebration where two people can easily share one little cake. Birthdays, anniversaries, random weeknights — it doesn’t matter your celebration, these mini cakes will be appreciated any day.